More Benefits of Vitamin A According to New Study. Nutrition provides solutions to many of life’s problems. It not only affects how we look on the outside, but how we look, feel and function on the inside. It’s the best way to prevent disease, promote health and fight existing conditions. And the truth is that we haven’t even tapped into the full potential of how a healthy diet, rich in vitamins and nutrients, can help us. We’re still finding ways to apply various forms of nutritional supplementation to medicate all kinds of conditions. For example, a popular acne treatment is vitamin A, which is what retinoids, topical acne treatments, are made of. They help keep pores clean by creating new skin cells faster. Getting vitamin A from your diet can also help. These same retinoids have recently proven helpful to fight autoimmune disease and assist in the healing of transplant patients. When the vitamin A retinoids were mixed with helper-T cells, cellular growth and defensive mechanisms against autoimmune diseases seemed to speed up. Helper-T cells are a type of white blood cell primarily functioning to fight infections. They circulate throughout the body and find intruders that need to be destroyed, like viruses and bacteria. A recent study found retinoids from vitamin A signal problems to helper-T cells which really kick-starts the healing process and fights off further infection. This new revelation occurred in a recent study at the Penn State University Hershey College of Medicine. The lead doctor in the study was enthused by the discovery because not only does it offer a new treatment option for autoimmune disorders and transplant patients, but potentially a host of other illnesses. 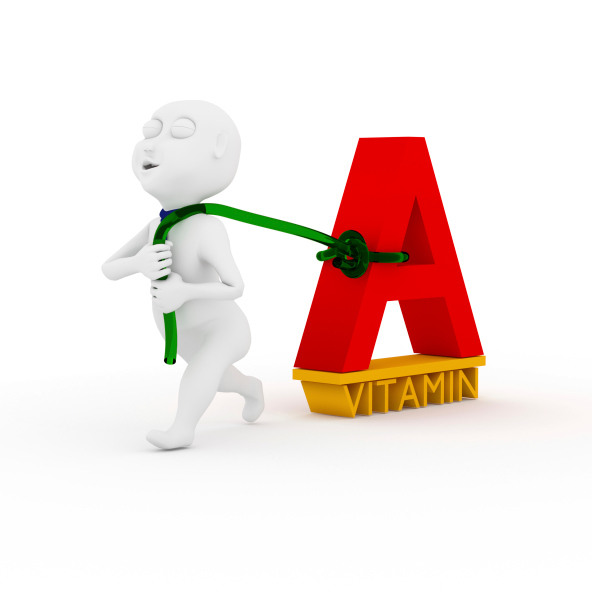 Because humans are proven to tolerate this form of vitamin A, it can open a number of doors for various treatments. It’s always a good thing when there are medical developments made using natural ingredients. The more we learn about the value of vitamins and minerals in various treatment areas, the better it is for your health. “Vitamin A Used in Acne Medicines May Help Autoimmune, Transplant Patients,” ScienceDaily web site, January 30, 2014; http://www.sciencedaily.com/releases/2014/01/140130102152.htm?utm_source=feedburner&utm_medium=email&utm_campaign=Feed%3A+sciencedaily%2Ftop_news%2Ftop_health+%28ScienceDaily%3A+Top+Health+News%29, last accessed February 6, 2014.